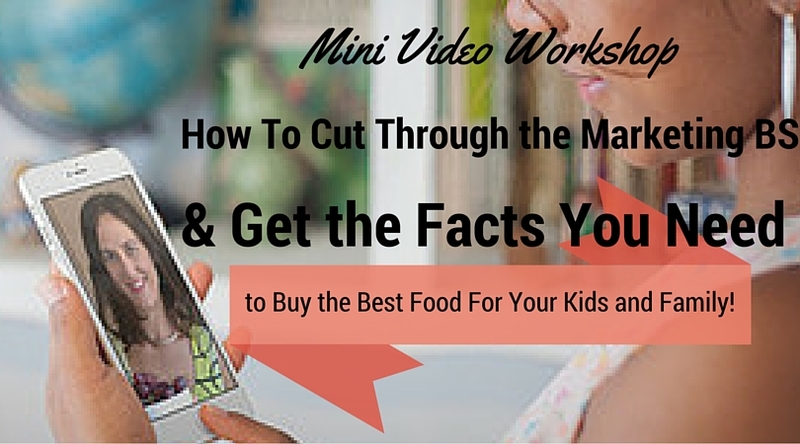 Like the title says, this video will teach you How To Cut Through the Marketing BS and Get the Facts You Need to Buy the Best Food for Your Kids & Family! You will also get a downloadable pocket guide to keep with you in your purse or car and take on your next shopping trip to help you remember all the juicy info I'll be covering in this 19 minute video! You will receive access to the video itself in a separate email within 24-48 hours.